Get yourself a birds eye view of that little robin next time he’s in town with a bird feeder that’s a little closer to home. Upcycling expert Max McMurdo shares a great project idea for creating a stylish addition to any kitchen or conservatory window. Once it’s done, just stick the kettle on and let the feeding commence! Make a little bird roof by attaching the teapot lid at an open angle onto the teapot using half a pack of Sugru. Then secure the lid in place with masking tape whilst the Sugru sets. Use the other half pack + 1 full pack to mould 3 cone points to the bottom of the teapot. 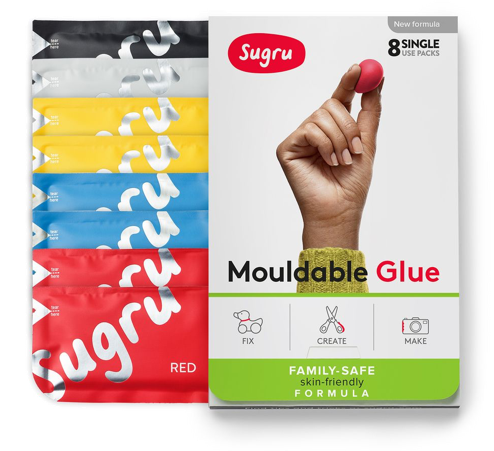 To do this roll the Sugru into a ball, press onto the base of the teapot and mould into a cone shape. Press the teapot slowly and firmly onto the window and use masking tape to keep in place whilst the Sugru sets. Always make sure the window is clean and dry. Bend the end of the tea strainer 3cm from the end either by hand or using pliers / vice grips. Attach the tea strainer to the glass using your third pack of Sugru, just under the teapot so that the pot falls in line with the strainer. You want to allow enough room for a tiny bird to perch and eat comfortably. Then support in place with masking tape. Wait 24 hours before gently peeling off the masking tape and filling the teapot with bird seed. Sit back and enjoy the view.